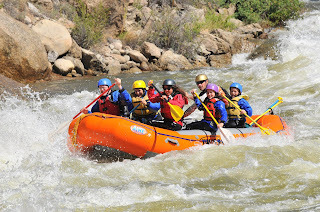 5-Day Colorado Family Summer Vacation Package for $290 per person, based on 4 guests! Experience Colorado’s great outdoors with this 5-Day Family Summer Vacation Package for $290 per person based on 4 guests! tax) -$20 per child 12 & under. Guests must be a minimum 6 years old to horseback ride and 50lbs to raft. Available May 24 till August 15, 2013. Waking up in the pines at Ski Town Condos is the perfect lodging choice for Salida and Monarch, Colorado. For more information or to make reservations, call (866) 539-7380 or visit www.skitowncondos.com.